Atwood Altersgate UMC is located at 105 Hovey Street in Atwood. 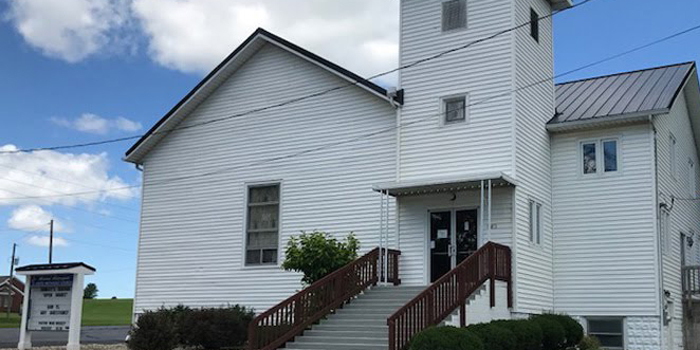 ATWOOD — Atwood Aldersgate United Methodist Church invites you to come as you are and join them for Easter Sunday, April 21, as they celebrate the resurrection of Jesus. A sunrise service with Holy Communion will begin at 7:30 a.m., followed by breakfast at 8 a.m. and worship service at 9 a.m. Regular service time of 10:30 a.m. will return the following Sunday. Atwood Aldersgate United Methodist Church is located at 105 E. Hovey St., Atwood. For more information, please visit http://atwoodaldersgateumc.org.